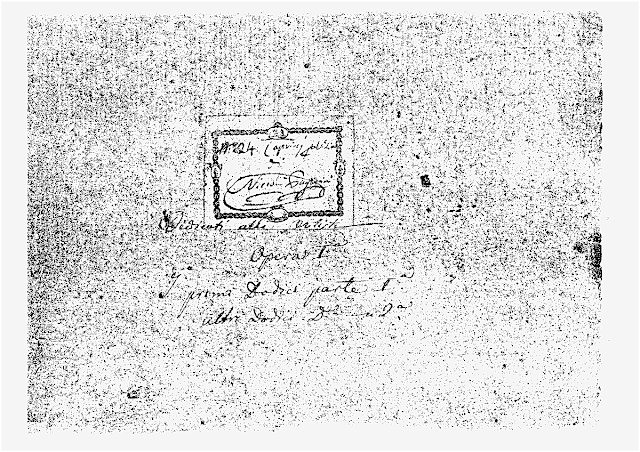 “To all the artists.” This was Nicolò Paganini’s dedication on his 24 Caprices for Solo Violin, Op. 1, first published in 1820. While the Caprices are generally viewed as a pyrotechnical tour-de-force that samples virtually all of the most challenging techniques possible on the violin, it is Paganini’s inherent musicality that has always been the foundation of my relationship with his music. 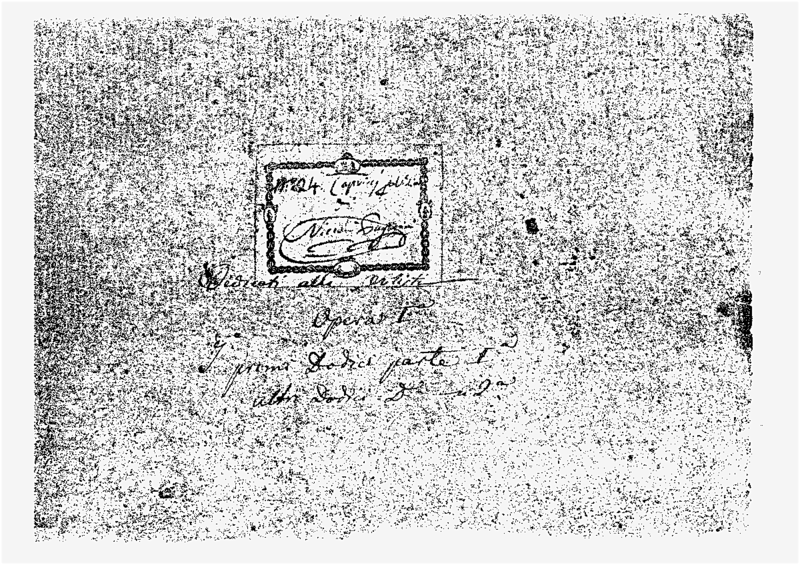 Paganini’s dedication reveals a depth of musical integrity and substance that I believe was at his core. purchased Itzhak Perlman’s LP. I was captivated by the sheer variety of the pieces and amazed by the technical possibilities of what could be done on the violin. However, more than anything, I was moved by the colors and emotions of the music itself. I listened to that LP over and over, dreaming that one day – if I practiced very hard – I might be able to play them myself. I finally had the opportunity at the age of 10, when Almita and Roland Vamos (my teachers) assigned me my first Caprice: #24. I still remember how thrilled I was. Over the next four years, I studied each of the Caprices. I had to interpret, memorize, and perform each one before the Vamoses would “pass” it. As part of the core repertoire for international competitions, I continued to practice the Caprices through the remainder of my teenage years. In my early 20’s, I explained to my boyfriend (now husband) the importance of the Caprices and how a few violinists had performed them in a single concert. 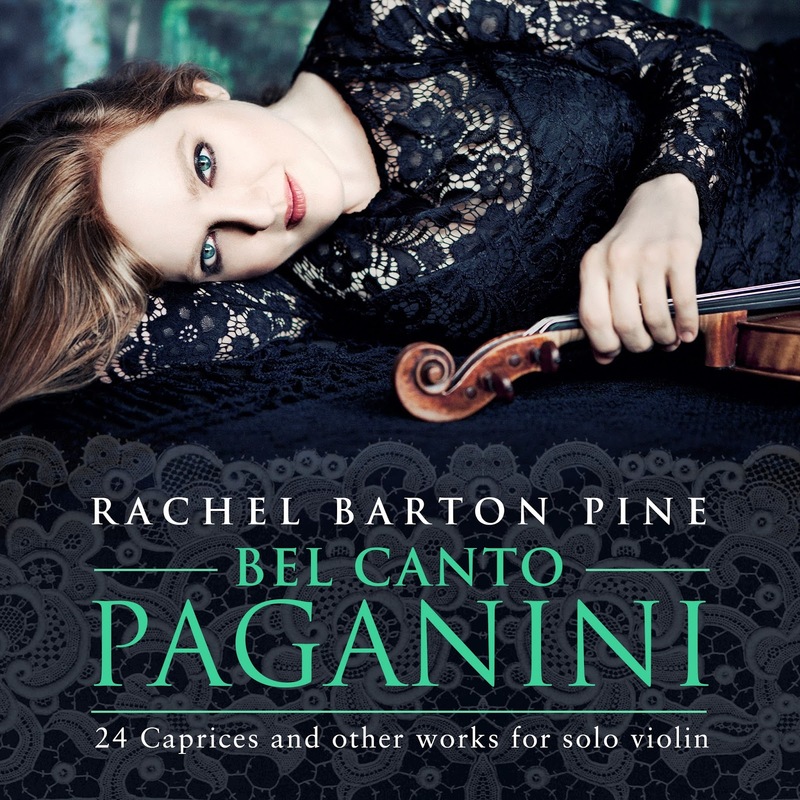 I always felt that the Caprices tell an incredible story and that hearing them in their entirety reveals something about the violin and about Paganini that is lost when hearing isolated Caprices. I told him that it was something I had always aspired to do, but felt it would require more preparation time than I would ever be able to spare. Performing all 24 in a row is like playing tennis while simultaneously reciting poetry. He pushed me to review a few Caprices at a time alongside my other repertoire. To my surprise, I built my endurance and was able to give my first public performance of the complete 24 Caprices a short time later. It was a dream come true. Since then, I have had the opportunity to repeat this concert around the world. Possibly the most memorable to date was in Washington, D.C. at the Phillips Collection, right next to the famous Delacroix painting of Paganini himself. Today, Paganini is remembered primarily for his exceptional virtuosity and his charismatic stage persona. He was a product of the bel canto (“beautiful singing”) era in Italy where the human voice was the most revered instrument and great singers were worshiped. Great bel canto singers were renown for an agile technique with the capacity for incredible virtuosity, an impeccable legato, graceful phrasing through mastery of breath control, and the ability to execute fast, accurate passagework. 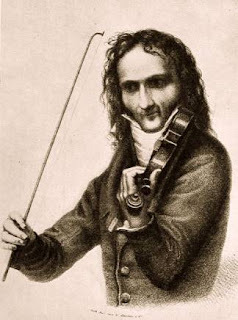 Drawing from this vocal tradition, Paganini revolutionized violin playing and elevated the violinist to levels of superstardom previously only achieved by singers. He made extensive use of the entire range of the violin and elevated violin techniques – including left-hand pizzicato, harmonics, and playing entirely on a single string – to new levels. Paganini also incorporated rapidly moving chords and seemingly impossible combinations of notes into his music. behind him while he was performing, manipulating his fingers. He was widely believed to have sold his soul in exchange for his amazing ability. Dressed all in black, with long black hair to compliment his tall, gaunt frame (he suffered from Marfan’s Syndrome), he really was the first rock star. However, Paganini was more than just a technical wizard and a showy performer. He was a great musician who composed wonderful melodies. Bel canto, at its core, is about beauty and expression, and Paganini captured this in both his playing and his compositions. Paganini’s melodies have inspired or been used by numerous composers, including Chopin, Liszt, Schumann, Brahms, and Rachmaninoff. The great Italian composers of his day – legends like Bellini, Donizetti, Verdi, and Rossini – held him in the highest regard. Rossini reportedly said that if Paganini were to write opera, he’d put the rest of them out of business. My love for and appreciation of Paganini’s pieces has continued to grow throughout the years. I have spent numerous hours studying Paganini’s manuscript and use most of his original bowings and articulation markings. These bowings, while occasionally counter-intuitive and difficult, have a profound musical purpose that is audible to listeners (e.g. the “backwards” bowing in the middle section of #11 which gives the music a special lift, the alternating bows in the triple stops of #9 which give the second section a longer line). Working with bel canto singing coaches to gain insights into phrasing and sound has significantly informed my interpretations. Paganini’s 24 Caprices follow in the footsteps of Locatelli (whose 24 Caprices served as cadenzas for his 12 Concertos L’arte del violino of 1733) and the turn-of-the-century etudes of Fiorillo, Rode, and Kreutzer. However, Paganini’s Caprices are neither written-down improvisations nor didactic studies. They are miniature gems, full of character, with varied structure and adventurous harmonies. His Caprices are considerably more avant-garde than his chamber music or his other solo pieces. They are among only a handful of works he chose to publish during his lifetime. The 24 Caprices were grouped into three parts, with the first part containing the first six caprices, the second part containing the next six, and the final twelve comprising the third part. I am convinced that Paganini published his Caprices to preserve a record of both his technical advances and his compositional prowess. Paganini divides the physical challenges equally between the left hand and right arm. The most extreme left-hand contortions occur in #3, including a double-unison trill at the end of each outer section and a reach of the 13th during the middle part (#12 also has numerous 12ths). Runs to the end of the fingerboard and double stops such as thirds, sixths, octaves, and tenths abound. 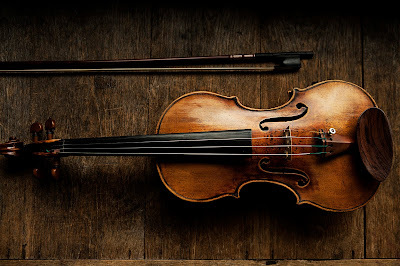 Some of the special bowings includes brilliant arpeggios across four strings (#1), string crosses over three and four strings (#2), multiple bouncing down-bows (#5, #9), up-bow staccato (#7, #15, #21), and flying staccato (#10). The outer sections of #18 and the middle of #19 are played on the G string alone. #24 reprises many of the techniques already featured and adds left-hand pizzicato in Variation 9. Multiple-voice writing is prominently featured in #4 and #8. Some of the more unusual markings include “Posato” (sedate and dignified) for #7, #15, and #23, and “Amoroso” for #21, a lovely aria. #11 also features particularly effective lyrical writing. #9, the only in rondo form, imitates pairs of flute and horns, while #20 features a folk-like melody over a drone. The continuous trills of #6 create a captivating and mysterious mood, #14 is an heroic fanfare, and the outer sections of #17 and #19 are the most light-hearted in the cycle. #13 is often referred to as “The Devil’s Laughter” because of the sinister chuckles in its outer sections. The shortest Caprice, #16 is distinguished by its creatively placed off-beat accents. I have grown particularly fond of #12 as my “ugly duckling.” After years of considering it to be perhaps the most awkward and least rewarding of the Caprices, I now revel in its beautiful melodies that emerge from the continual slurred string crosses. violin was made by the same maker and in the same year as Paganini’s famed “Il Cannone.” I recently discovered that using a “transitional” bow (an early Tourte) made an incredible difference in the execution of many of Paganini’s bowing techniques. It also helped me capture an early Romantic lightness of touch, a clarity and sweetness of tone which is quite different from the more muscular sound of the later Romantic era with which one often hears Paganini’s music played. 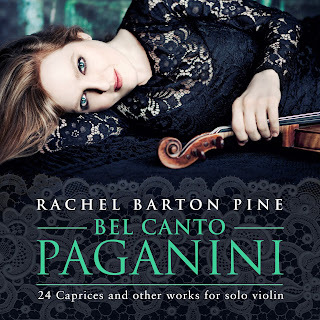 Paganini’s dedicated his Caprices to “all the artists.” In turn, I dedicated my new album Bel Canto Paganini: 24 Caprices and other works for solo violin this recording to you, all the listeners. I am most honored when, after I perform Paganini, listeners wax poetic about his musicality without ever mentioning technique. I hope that, when listening to this recording, you meet this great composer who has inspired me for a lifetime. 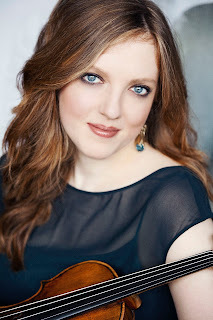 Rachel Barton Pine is an internationally known, award-winning violinist, composer and recording artist. She is also the President of the Rachel Elizabeth Barton Foundation that is dedicated to expanding the awareness of and the appreciation for classical music.